Accuweigh’s Perth branch recently supplied a set of beam scales to a grain & hay producer in Northam in WA. The beam scales are being used for weighing bails of hay in a hay bailing line. These beam scales comprise two separate weigh beams which can be positioned to suit almost every low cost weighing tasks and are durable enough for heavy duty use in most production line applications. 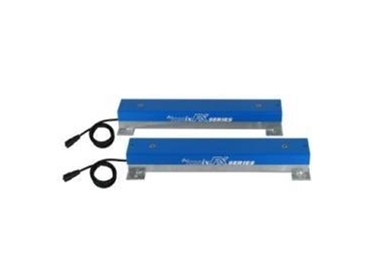 These beam scales have a weighing capacity of 600kg by 0.2 kg divisions. A Rinstrum R420 digital weight indicator is fitted in a nearby office to display the weight of the beam scales which is then transmitted to a Rinstrum D320 remote display to allow the weight to also be displayed back to the machine operator in front of the beam scales. Accuweigh is an Australian largest industrial weighing company and has branches in all Mainland states offering Australia-wide after sales support on beam scales and all weighing equipment.